Risk is an iridescent term in society, and the scientific debate on risk issues today is rooted in many disciplines. In geography, risk topics are an inherent part of research and teaching both in natural and social science approaches. Changes in frequency and magnitude of natural processes on the top of and below the Earth’s surface, a decreasing quality of ecosystems or socio-economic changes are able to intensify existing hazards and risks. These changes and intensifications can fuel conflict constellations and risk discourses. Besides, systemic risks and multirisks, triggered by cascading effects, can intensify risks as well as generate new and global risks. These require new structures of governance. The research focus “Risk“ focusses, on the one hand, on so-called “natural hazards” (for instance earthquakes, floods, storms) including both extreme events and creeping processes (such as soil erosion, climate change and permafrost degradation, degradation of ressources and ecosystem functions). On the other hand, emphasis is laid on concepts of vulnerability and resilience including risk elements and their exposure in different regions and societies. With the help of theoretical discourses, empirical surveys, spatial analyses and modelling, the different facets of the term "risk" are examined - these range from basic to applied research. The Department of Geography can look back on many years of risk research in a large number of projects. 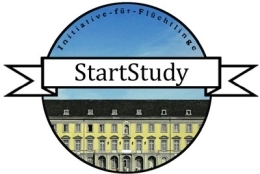 These are supported by different funding institutions; amongst others, by the German Research Foundation (Deutsche Forschungsgemeinschaft, DFG), the Federal Ministry of Education and Research (Bundesministerium für Bildung und Forschung, BMBF), the European Union (EU) and the federal state of North Rhine-Westphalia. They deal with floods (recurrence intervals, designation of flood plains, management strategies), debris flows and rockfalls as a result of climate change, an "Atlas on vulnerability and resilience", landslides or permafrost degradation in high mountains. Societal requirements for risk management in spatial planning are also examined; health risks and pandemics as well as food security issues. Depending on the project, the focus is on physical-geographical process research, on social and cultural discourses or on the interface of both. Risk research at the Department of Geography is interconnected with other scientific subjects at the University of Bonn, as well as with other working groups in the region of the Geoverbund Aachen-Bonn-Cologne/Jülich (ABC/J). The Department is a founding member of the Floodwater Competence Center Cologne Hochwasser-Kompetenz-Centrum Köln). There are cooperations with and/or memberships in the Federal Office for Civil Protection and Disaster Assistance (Bundesamt für Bevölkerungsschutz und Katastrophenhilfe, BBK), the German Committee for Disaster Risk Reduction (Deutschen Komitee für Katastrophenvorsorge, DKKV), with the United Nations University (Institute for Environment and Human Security), the Bonn-based UN agency (UN -Water Decade Program on Capacity Development, UN Convention on Combat Desertification, UN Framework Convention on Climate Change), the City of Bonn (Office for International and Global Sustainability) and departments of the partner Universities of Aachen and Cologne as well as of the Research Centre Jülich. The research focus "Risk" is reflected by a variety of teaching events (seminars, internships, projects and excursions). The subjects covered include both physical-geographical, human-geographical and integrative approaches. The renowned master's programme "Disaster Risk Management and Disaster Management" (Katastrophenvorsorge und Katastrophenmanagement, KaVoMa) has been anchored at the Department of Geography since 2006 and is headed by Prof. Dr. Lothar Schrott. The Geography of Environmental Risk and Human Security Joint Masters, which has started in 2013 in cooperation with the United Nations University (UNU), is another figurehead with relevant emphases. Colleagues of the Department of Geography participate in both programmes. To expand the focus on risk, a graduate program "Risk" will be applied for, which further develops innovative and integrative approaches to risk research. The aim is to intensify cooperations within the university and with neighbouring institutions. Moreover, an expert workshop within the framework of the Geoverbund ABC/J is planned. Furthermore, Dr. Nora Jennifer Schneevoigt, Dr. Gabriele Hufschmidt, Prof. Dr. Lothar Schrott and the City of Bonn (Stefan Wagner, Office for International and Global Sustainability) are preparing a public lecture series "International Civil Protection and Disaster Risk Reduction" with the participation of the University of Bonn, the UNU, the University of Applied Sciences Bonn-Rhein-Sieg, the Society for International Cooperation (Gesellschaft für Internationale Zusammenarbeit, GIZ), the Technical Relief Agency (Technisches Hilfswerk, THW), the Fire Department of the City of Bonn, the Foreign Office amongst others. The lecture series will start in the winter term of2018/19 and will investigate various aspects of risk management until the end of the summer term 2019.